To regular readers of our blog, it will come as no surprise that J and I are city slickers. We love the energy and vibrancy of large cities and Kuala Lumpur is a great one. 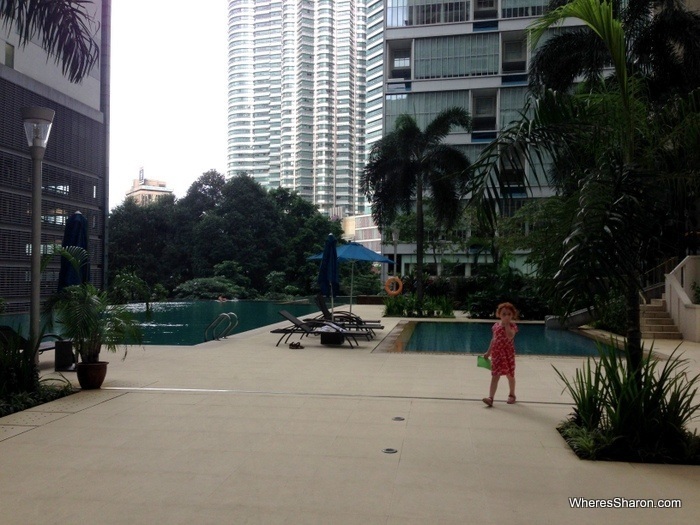 Our biggest consideration when we pick accommodation is location, so on our return to Kuala Lumpur, we were very happy to find an Airbnb apartment which was located right in the middle of things. We were in heaven! I used to think that one of the drawbacks of using short term rentals, like Airbnb, is that the location is not as good and we would miss out on hotel like facilities. However, I was so wrong. Staying here we really had the best of both worlds – the facilities of a hotel and a top rate location, as well as a self contained apartment with lots of little touches that made it seem more like a home with a host that we could contact anytime we wanted for help and advice. It also has the benefit of being a lot cheaper than what we would pay for a similar location in a hotel room, let alone an apartment. We stayed in a one bedroom apartment. It was the perfect size for us and big enough that we all fit easily with our luggage. It was bright and airy with some great views. We had an open plan kitchen area, dining area and lounge room. In this room, there was also a single bed with a trundle bed underneath. This worked very well for our kids. The kitchen comes with enough equipment to self cater. We made breakfasts and snacks in here without a problem. There is a decent fridge and freezer. The bedroom has a queen size bed, cupboards and a dressing table. The bathroom is big and has both a shower and a bath. Everything was spotlessly clean and comfortable. There were lots of nice touches like plants, cushions and brochures about the attractions in Kuala Lumpur. The apartment also comes with a laundry area with a joint washing machine and dryer and a balcony. There are actually three air conditioners in this place, so it is easy to keep it nice and cool. There is also decent internet. The apartment complex is not lacking in facilities. Apart from a hotel like lobby area at the entrance, there are three pools – one especially for children with a slide, a playground and a sauna. There is also a tennis court, table tennis and a reading room, as well as a shop, Japanese restaurant and an art gallery. My favourite part about these facilities is that the pool has a great view out to the Petronas Towers. Very cool! 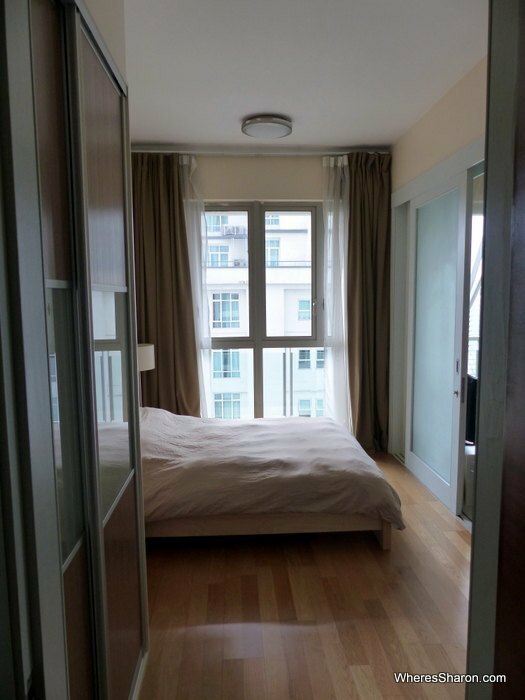 If you want to be right in the centre of things at KLCC (Kuala Lumpur City Centre), you could not get a better location than this apartment. 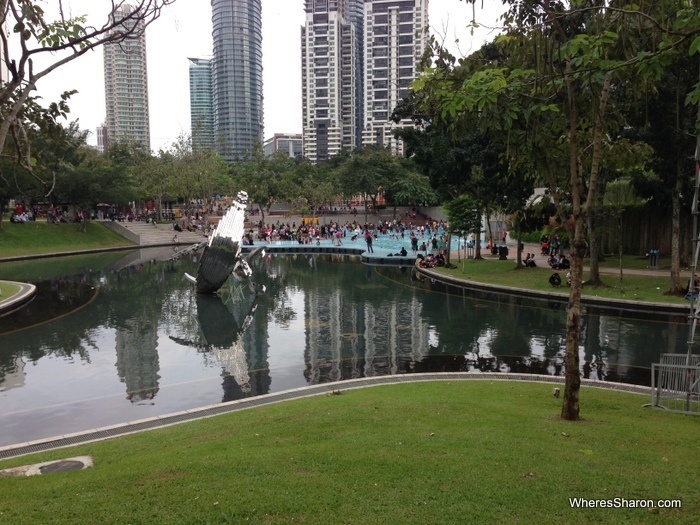 It is basically across the road from the Petronas Towers. This is just perfect for kids with a massive playground, water area, shopping centre, train station, aquarium and a science museum all within an easy walk that our 2 year old was able to do. Read more about them here. It is kid heaven! It is also great for us as it meant eating out was never a problem when the kids were tired. We could just cross the road for a zillion options. The kids love the apartment. They especially loved the the single bed having a pull out trundle underneath which the host told them was a “secret bed”. 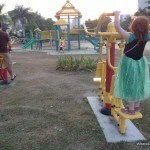 The pools and playground in the complex were a big hit. We were very happy with this apartment and will no doubt stay here again sometime. It is so convenient, comfortable and just a nice place to be. We were able to prepare meals, do our washing and everything else without any drama. 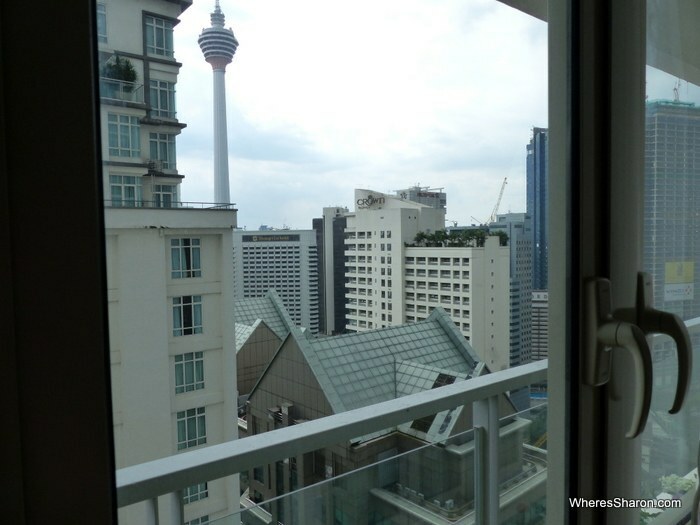 It also felt very private, and I loved being able to look out the window from my bed and see the Menara Kuala Lumpur (KL Tower). The size was perfect for our family as were the facilities. 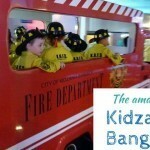 I just loved the location and being able to take the kids out so easily. My only complaint is that check in was complicated by the fact that the host expected a phone call on arrival even though I told him I would not have a phone. If you stay here, go straight up to the lobby desk on arrival and ask them to call him if you cannot. They did not mind and he was there fast once we did this. I highly recommend this apartment for all the reasons listed above. 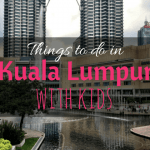 It is close to the KLCC LRT stop although if you have a family, it can be more economical to catch taxis around. If you have not joined Airbnb yet, create an account using this link and we will both receive US$25. 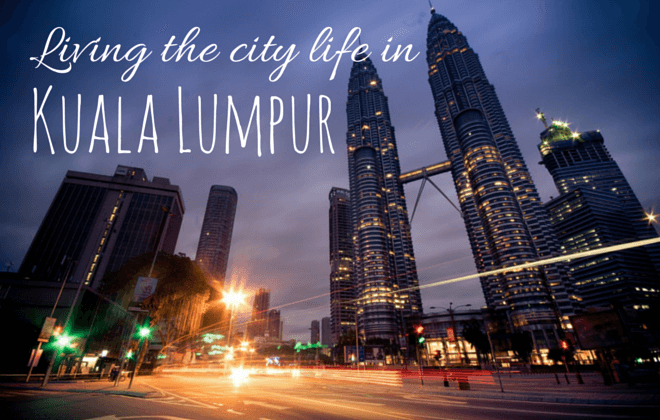 What is your favourite part of Kuala Lumpur? Lol yeah it definitely makes life easier when we all have our own space. Plenty of room for their toys too! Great Article, Airbnb very great apartments and the staffs are friendly too. Wish to visit Kuala Lumpur this year. Sounds like a good recommendation next time we’re travelling together to KL. Having the condo pool complex is definitely a bonus with kids. I was going to say as well – the call on arrival thing seems to be common for AirBnB in KL it seems. We got the same thing (we went with an SMS which was cheaper and did the same trick). But the guy was super prompt to respond and all so it worked out ok.
Yeah we actually had the same experience in Miami. Next time I am not going to wait and just call as soon as I turn up for one!! May I know the name of the apartment where you stayed and how much is It per day? the apartment is here – https://www.airbnb.com.au/rooms/2816968/?&af=1829010&c=APAC_AU_Blogger_WheresSharon_1 It was around $100 a night but you can check out the pricing on the listing. Have fun! What a great travel notes you shared. Just wondering what is the name of apartment that just across the Petronas Twin Tower? I will have a short getaway from Jakarta to KL with my 4 years old daughter. Thanks! 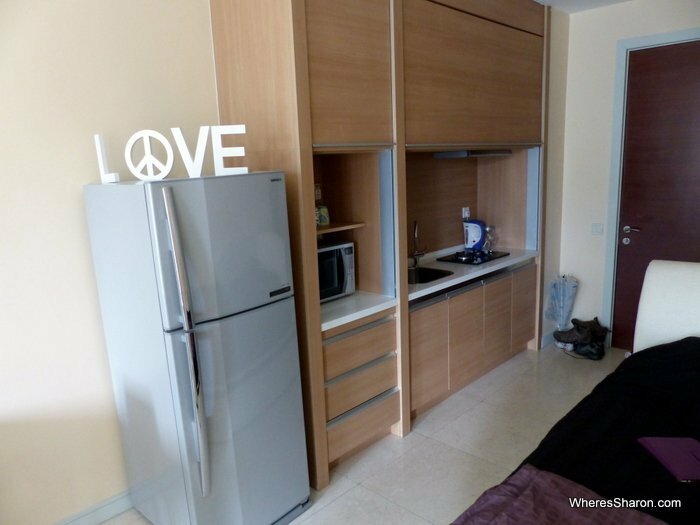 The apartment is this one – https://www.airbnb.com.au/rooms/2816968/?&af=1829010&c=APAC_AU_Blogger_WheresSharon_1. Have fun! Hi, my family an I are planing a holiday in KL in January. We will have our 2 1/2 year old and a 1 year old with us. The link to this apartment says it is no longer available, do you have any other suggestions? That’s a shame! 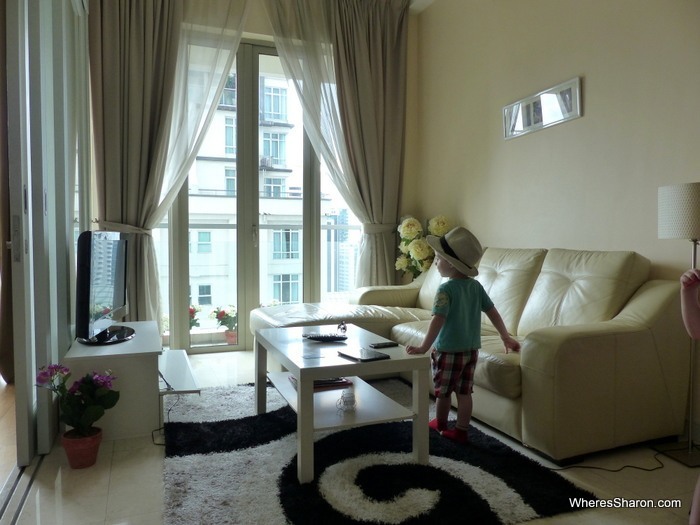 Unfortunately not for an apartment but we love love love Berjaya Times Square – we stayed there twice when our kids were that age and we plan to stay there again in January. The superior suites are like one bedroom apartments and there are fabulous facilities (probably biggest pool I have seen) and it’s on top of a shopping centre so it’s very easy. 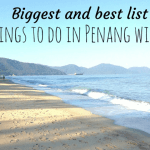 You can read more about it in our KL article. It is really great to see that you had a amazing Airbnb experience in Kuala Lumpur (apart from the small glitch during your check-in). I am a traveler myself, and enjoy seeing would and meeting people with different cultural background. After using Airbnb for few times, I have decided to participate into the Airbnb community, and I have started hosting in November, and have been receiving very nice responses from travelers around the world ( https://www.airbnb.com/rooms/9478111 ) . I hope Airbnb will grow to something bigger in the future. Again, thanks for sharing your travel experience with Airbnb in Kuala Lumpur!